While roaming the Google Street View of Thailand I came across this big wide tree in Kanchanaburi. 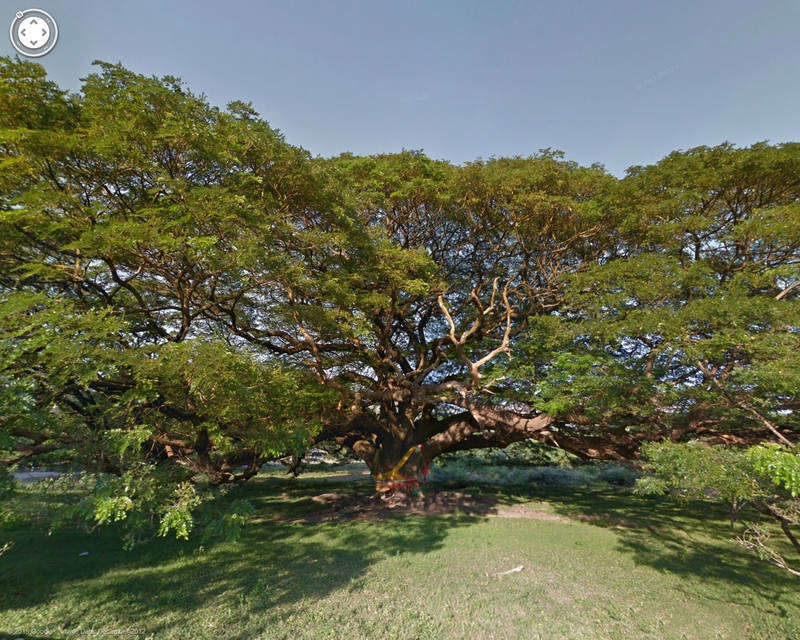 This giant "Albizia saman" commonly known as Rain Tree or Monkey Pod tree has a canopy/crown diameter of about 57.9 metres (190 feet) as measured by measurement tool of Google Earth. 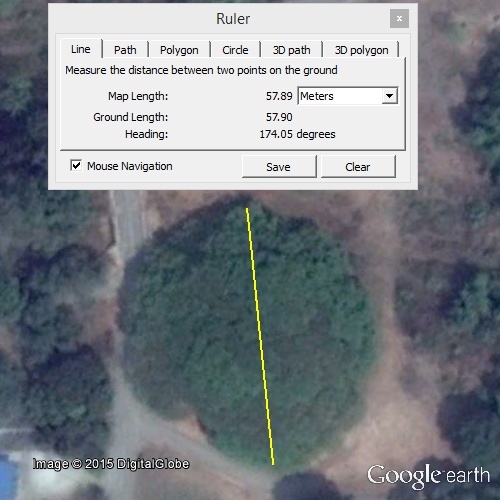 As per Tourism Thailand web site (Edit Note: The original Tourism Thailand web site is not available anymore but it can be accessed via Internet Archive Wayback Machine) the tree diameter is approximately 51.75 meters (170 feet). The height of the tree is 20 meters (65.6 feet) high and it lies on 16,000 Sq. Metres (4 acres) land. The tree is over 100 years old with a large trunk which is so big that at least 10 people are needed to embrace the whole trunk totally. It is a popular tourist attraction. 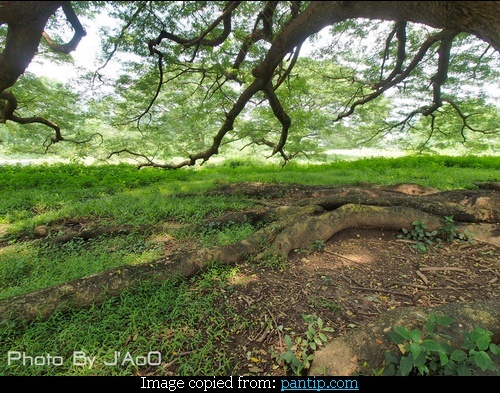 As per my research there are two other wide trees which are bigger in circumference than this tree, however these are clonal trees and cannot be considered as the Widest Non-Clonal Tree in The World. The Great Banyan (Ficus benghalensis) tree in Howrah, near Kolkata, India. Giant Cashew tree (cashew Pirangi), North Pirangi beach, Parnamirim, Rio Grande do Norte, Brazil. In addition a tree in Turmero, Venezuela, called "Samán de Güere" was reported by the 19th century Prussian geographer, naturalist, and explorer Alexander von Humboldt, as a tree of about 180 metres (590 feet) circumference at its widest point, which works out to a diameter of 57.3 metres (188 feet). The tree still exists today but has reduced considerably in size due to decay. (More info: Spanish Wikipedia - English Translation). 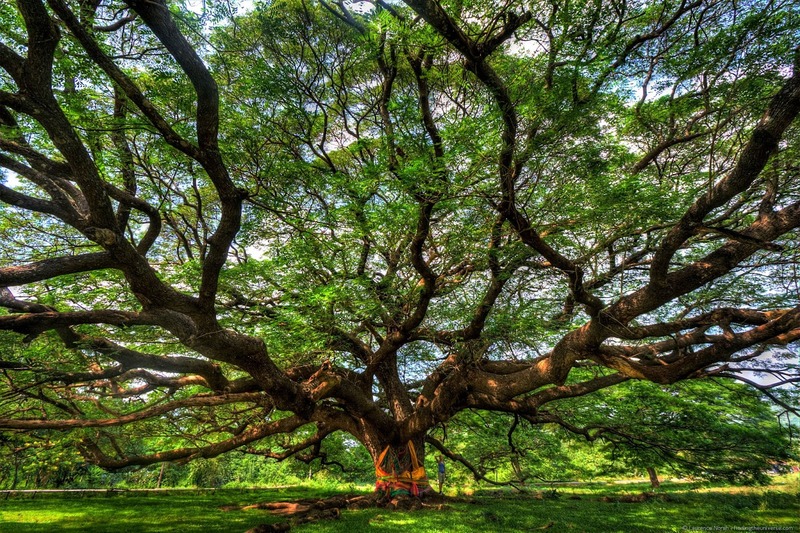 I am therefore of the firm opinion that this tree in Kanchanaburi, Thailand is World's Widest Non-Clonal Tree. I request my readers to negate/confirm this. Image from Panoramio is by Thai pix Wildlife ph… (Permission to use image awaited) Best viewed in larger size. In order to capture the total spread of the tree above picture was taken from a distance of about 100 metres. Image from Flickr is by Simon Marussi. Best viewed in larger size. Image from Finding The Universe is copyright © Laurence and Jessica. Permission to use image is thankfully acknowledged. Best viewed in larger size. Best viewed in larger size. 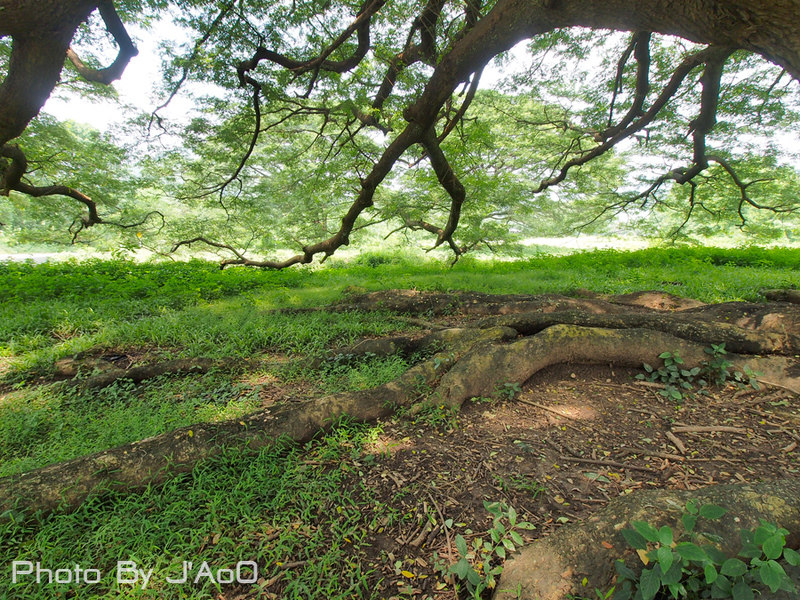 I am thankful to J'AoO for sharing several fantastic images of this giant tree in pantip.com.